Termites cause nearly $5 Billion in damage every year in the U.S. A termite infestation can cost you thousands in damage to your home. We do free estimates in St. Joseph Missouri and surrounding areas. PREFERRED PEST IS TOUGH ON TERMITES. Why is it important to let a trained, licensed professional handle your termite protection? Termites cause an average of $5 billion in property damage annually in the United States. Do you know what’s worse? Your homeowner’s insurance typically won’t cover termite damage. Don’t get stuck with paying for damages. Let us protect your home and give you peace of mind for years to come. Our standard termite treatment eliminates termites from your property by directly treating the active infestation and the source of the infestation in the soil. If you want the peace of mind that comes from knowing your home is protected against termites and other wood destroying insects, schedule your free termite inspection today! By clicking “SCHEDULE” I authorize Preferred Pest Control to contact me at this number. I understand I am not required to make a purchase. Termites mostly live underground and in the walls of your home making them difficult to find. Watch Perry, with Preferred Pest Control, show you how to inspect your home for termites. If you think you might have a termite problem in your home, don’t wait to get help. 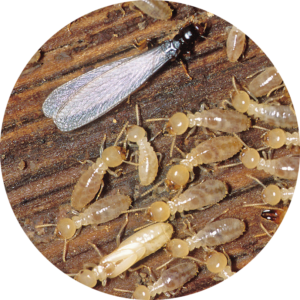 Schedule a free termite inspection! Call today for more information or to request an estimate.